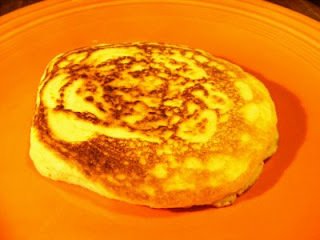 I did not make cornbread for our New Year meal but I made corn meal pancakes instead. Everyone liked them, so I guess I did okay. Here is the recipe. Sift flour, salt, and baking powder together. Add corn meal and mix well. Combine beaten eggs, oil and milk to mixture. Beat until smooth. Cook on oiled griddle. Only turn the pancakes once. I like mine with butter on them but my husband likes them plain.